Returns Jan 24 and every Thursday when school is in session!! Things to do...just let us know what you want! Our Sunday mass with student leadership is at 10am each Sunday during the academic calendar. We look for students to share gifts and talents in Music Ministry, Readers, Eucharistic Ministers, Ushers, Greeters, Sacristans and Altar Servers. Please sign up or contact any of our RCCM team. Students are invited to post their name, pic, and/or contact info as well as a skill they have. We have many folks who look for part time babysitters, house sitters, pet-watchers, etc....you and the person make all the arrangements. Earn a few bucks! 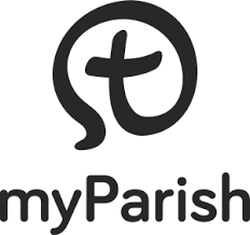 You can also join a group on MyParish app to communicate between each other. Most Mondays we offer exposition of the blessed sacrament at 7:15pm followed by mass w benediction at 8:15pm. Confession is available during during Exposition. A casual fellowship gathering will follow mass. Confessions are always available before mass. Wanna gather and share you faith in a safe environment of peers who can relate to gender-specific concerns? Keep an eye out for dates and times for Women's and Men's group gatherings. See on-line calendar. We offer a streamlined process for those interested in becoming Catholic, or those baptized Catholic and have not received Confirmation and/or Holy Eucharist. Meets once a month with weekly events for the inquirer and candidates to experience the fullness of a lived Catholic faith.. Contact Bruce Cunningham at 586-1251 or fishskibike4fun@gmail.com or see Fr. Val. Come and check it out with no pressure.